Welcome to my little corner of the web, thank you for clicking! I remember sneaking into the loft as a child, opening up this huge trunk of my mother’s dresses – they were fabulous creations full skirted, tight bodices, with the most wonderful net petticoats. I would leap from one rafter to another, wearing these beautiful creations, along with hats, gloves and heels. As I fingered lace, satin and velvet – the dressmaker in me was born. We are living during a unique period in fashion history, one that has no identifiable style but gives permission for self expression. This trend for looking back at past fashions and re-inventing them really does make my heart sing. What a dressing up box we have to choose from! You can stroll through 70 years of fashion in one week! From the Downton Abbey inspired twenties dresses, through to the elegance and bias cut of Hollywood style. The ‘Home Fires’ austerity of the make do and mend era, into the glorious feminine curves of the fifties. We can all wear the boho chic of the seventies mixed up with the black and white A line of the sixties. 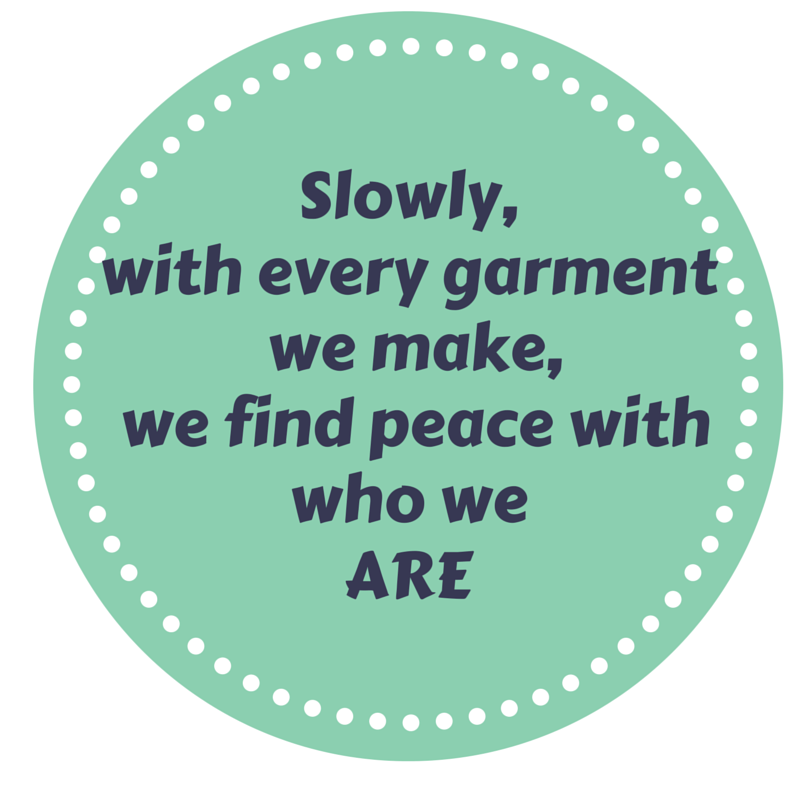 There are no clear set rules it is all about being your own fashion designer! Dressmaking skills are easy to acquire; they are the keys to the kingdom, the dresses of my dreams will be in reach. I hope to share these adventures with you, some of the tips and tricks I have learned along the way. 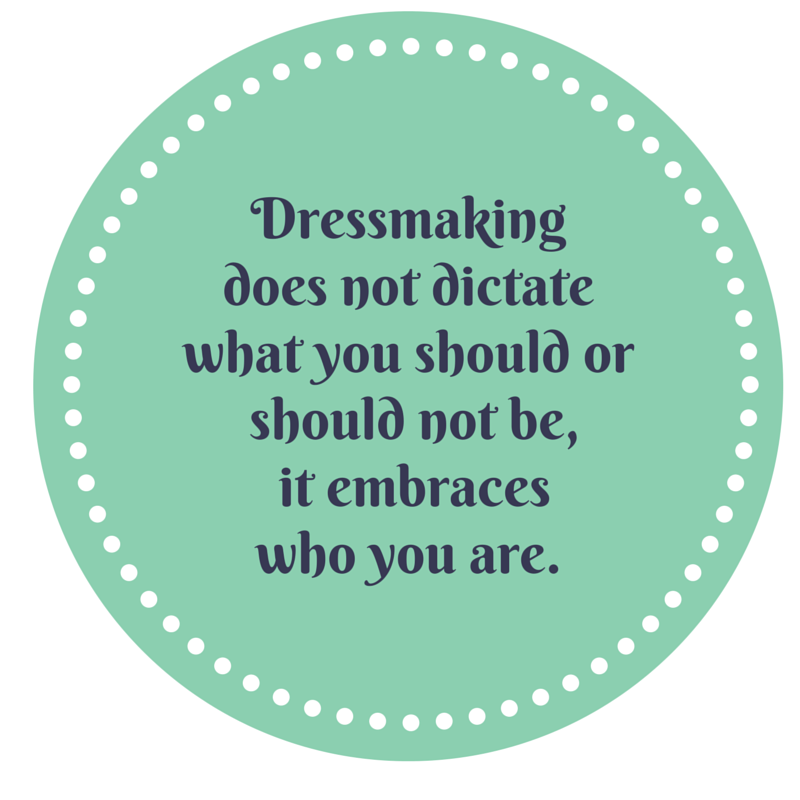 Dressmaking is an act of self love where you are at peace with who you are; no more changing room misery, everything you make is uniquely yours. As soon as you take a pattern from the envelope you begin to work with your body, where you need a little more here, and a little less there. I am a magpie at heart, but my shiny things are clothing details! My dear E is used to me exclaiming the delights of the button detail on a stranger’s shirt, or how a skirt hangs and sways while a lady is walking. I squirrel away details and then I work out how to incorporate it into my own dressmaking and other creative projects along the way. I believe in crossing over from other crafting skills, knitting, crochet and embroidery also have their place here among the adventures. So come with me on a journey, with pins, needles and thread. This is my sewing, making blog, where I share anything sewing or craft related, the rest of my life, book reviews, outings and trips, art, poetry etc, is on my other blog Fred-the-Needle. I have created projects for sewing world – it is always a thrill to see my name in print. Bonjour! Just stumbled upon your blog…very nice! Thank you Abigail, how kind of you to say! Having done a little detective work – I just wanted to let you know my Secret Santa package has arrived. I have not peeked inside at all so that it will be a nice surprise on Christmas Day but tracked your blogging name down from your actual name on the front of the package and thought you would like to know it had arrived safely. Gee…I really thought I was following you, but apparently not! How can that be?!? Well, now I am, so I won’t miss a trick! I’ll check it out. I am trying to upload from another platform and I don’t think it was successful! Apologies! but thank you for letting me know. Helen, you can adapt a shorts pattern easily to make French knickers… I believe the last pattern review on my blog had a great pattern you can use. Camisoles as well can be adapted from little vest tops, what makes lingerie is the fabric you use.